First-Year Seminar courses are designed to spark the intellectual curiosity of students while introducing a thought-provoking topic across the arts, humanities, and sciences. Faculty who teach FYS courses strive to create a welcoming and open learning environment and to foster a love of learning and academic excellence in a small classroom setting. A standing faculty committee receives and reviews each FYS proposal, following approval of the proposal content by the appropriate department chair or dean. 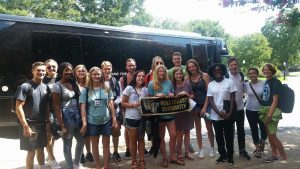 The First Year Experience (FYE) course was introduced at Wake Forest as part of an effort to extend the orientation experience and make learning about the transition to college more meaningful and enduring. The course focuses on three “pillars”: academic success, wellbeing, and living in community. 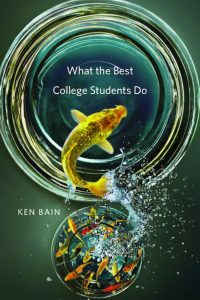 Based on these goals and pillars a curriculum was developed and is being implemented using the text: What the Best College Students Do, by Ken Bain. The curriculum focuses on academic content and research-based practices, with a connection to personal experience. Seventeen students from eleven states are participating in Wake’s inaugural first-year abroad experience. The students will engage in challenging coursework led by Wake Forest and Danish faculty members who bring real life practice from their fields into the classroom. WFU resident professors for the year are Dr. Saylor Breckenridge (Sociology) and Dr. Mary Dalton (Communication). Through hands-on learning opportunities, expert guest lectures, and faculty-led study tours across Europe to other Wake Forest study abroad locations such as London, Venice, and Vienna, students will gain new and meaningful perspectives on both their academic studies and the world at large. First Year Seminars are taught by faculty from all academic divisions and ranks. Every First Year Seminar is topical and constructed by the individual faculty member. Additional information on the First Year Seminars, including archives of previously-taught courses, can be found here. Visit the Global AWAKEnings website for more information.